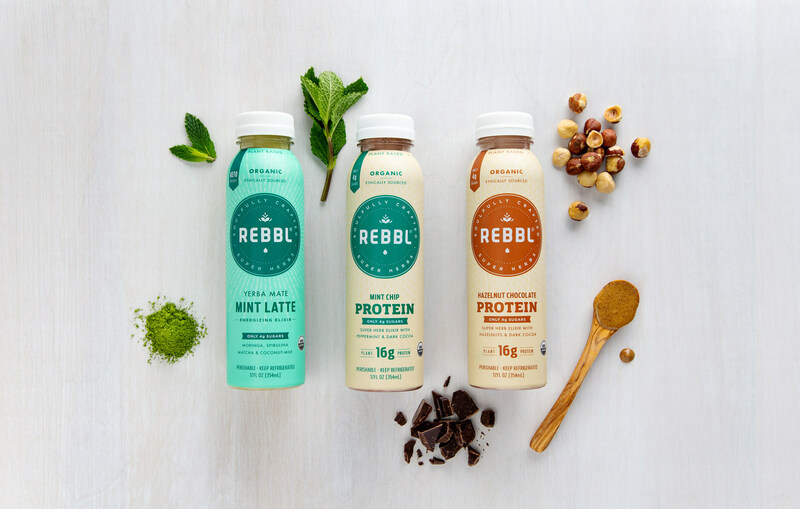 15 Apr 2019 --- Beverage company Rebbl has launched three new plant-based, indulgent beverages that tout functional benefits due to their adaptogenic ingredients, such as ashwagandha. By investing in local economies and employing organic and sustainable agricultural practices, the company also aims to boost its sustainability and transparency profile. The new flavors of the “super herb elixirs” include Yerba Mate Mint Latte, Hazelnut Chocolate Protein and Mint Chip Protein. Click to EnlargeThe mate for the drink is sourced from a small Argentinian farm that has developed a sustainable and organic way to cultivate it. The moringa comes from Kuli Kuli Foods, a US-based, moringa superfood company, which also supports sustainable agricultural practices.